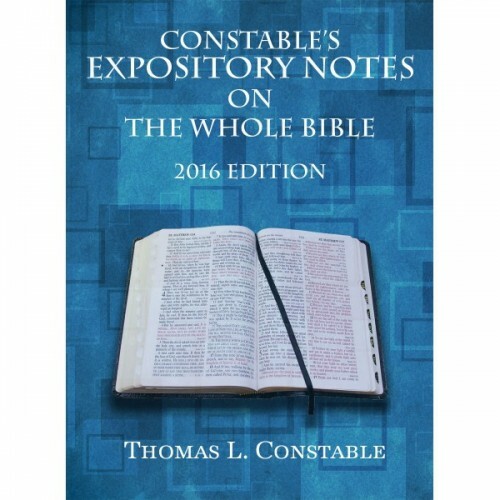 Since 1985, Dr. Thomas Constable, Senior Professor Emeritus of Bible Exposition at Dallas Theological Seminary, has been preparing "notes" for his personal study and for his students. Don't be misled by the term "Notes," however. These Notes have expanded over the years to over 8500 pages of text consisting of 25MB of data! This is about 5 times larger than the Bible itself. These Notes are more comprehensive than most commentaries and are the "go to" resourse for many who even have access to more technical resources. They are well formatted, include outlines, charts, and images, and many thousands of footnotes. With this Bible Analyzer Edition we have made the footnotes inline with the text to make them more accessible. The Expository Notes are filled with well over 100,000 Scripture references, each linked and easily accessed with Bible Analyzer's verse indexing features. Dr. Constable's approach to the Scriptures is Fundamental, Premillenial, and Dispensational. This is the very latest edition of these Notes; the 2016 edition. Other editions have been available (2010, 2012, 2014, etc.) but this current edition is considerably larger and more refined than any of the previous. Dr. Constable offers a CD-Rom of PDF files of his Notes for $38, and other developers sell them for even more. 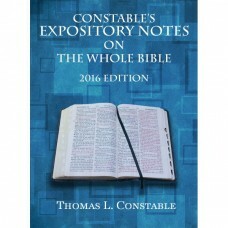 However, Dr. Constable has consented to allow us to offer the very latest edition formatted for Bible Analyzer for only $12.95. This is a great offer for a wealth of current, up-to-date material. Having these notes is equivelent to having the lesson material of an entire Biblical Studies course at a major seminary. They were used as such for many years.